In but the latest of a long series of assaults on religious freedom in Malaysia, a group of Muslims picketed a small Christian congregation in the suburbs of Kuala Lumpur last Sunday demanding that the cross on the outside wall of the church be taken down. Apparently, it offended their sensibilities – it was too high, too prominent, a provocation, a challenge to their faith. They threatened to forcibly remove the cross if the church failed to take it down. In recent months, extremist groups have complained about churches being too big, worship being too loud, Christmas lights being too bright, Bibles and Christian literature being too seditious. Of course, it begs the question how high is too high, how many are too many, how bright is too bright but we can leave that for another time. A far more pertinent question, however, is why, after more than 400 years of dedicated service building some of the finest schools and hospitals in the country, undertaking outstanding charity programmes and caring for the old and poor without incident, everything about Malaysian Christianity is suddenly so wrong? Clearly, what we are seeing is extremism, an extremism founded and fed by political opportunism, asserting itself and trying to extra-constitutionally reshape our national landscape. The religious extremism that we are seeing is also being nursed by wider global cross-currents that have led to a hardening of Islamic attitudes towards other faiths and cultures. Edged on by influential and well-funded Wahhabi clerics in particular, Muslims are being encouraged to consider all non-Muslims, and even Muslims who hold different interpretations of Islam like the Shia, as enemies who should be confronted and harshly dealt with. No less than the Grand Mufti of Saudi Arabia, for example, has called for the destruction of all churches in the Arabian Peninsula. From there, it is but a short leap to turning against churches in other Muslim majority countries. For these extremists, it’s not really about the height of the cross but the hate of the cross, and everything else that doesn’t fit into their own narrow and intolerant worldview. In order to justify their bigotry, extremist groups often play up the sensitive issue of Muslims converting to Christianity. The church protestors in Taman Medan, for example, hinted that the cross might sway young Muslims away from their faith. However, the fact remains that after more than 400 years of Christianity in Malaysia, the population of Christians remains small, at less than 10% and almost exclusively non-Malay. This suggests that either Christians are not as proficient at evangelism as the extremists would have us believe or that Muslims are far more resilient in their faith than they are given credit for. But then bigots are not bothered with inconvenient facts. 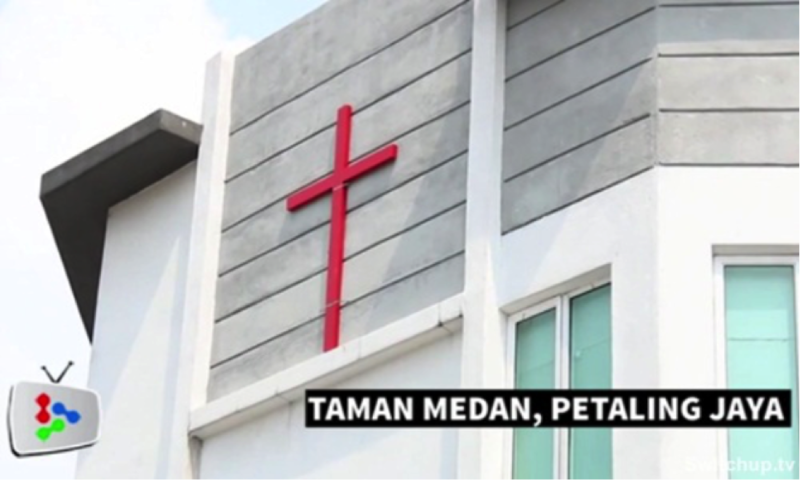 Under duress, the church in Taman Medan immediately agreed to remove the offending cross. The Inspector-General of Police made light of the whole matter and appeared ready to close the case. A senior state UMNO politician opined that since no one had died during the protest it did not merit further attention. It would have been a great tragedy for Malaysia if things had ended there. History, our history, has repeatedly shown that accommodating extremism only feeds its appetite and leads to yet more unreasonable demands. If a plain wooden cross is so offensive to these extremists, one has to wonder what they must think about the statues that adorn our Buddhist temples or Hindu religious festivals like Thaipusam. Can there be any doubt that demanding the removal of the cross is just a harbinger of worst things to come? Thankfully, the incident at Taman Medan didn’t end with the removal of the cross but with a staunch defence of the constitutional right to freedom of religion. G25 – the group of moderate Muslims who are fast becoming the moral conscience of our nation – spoke out firmly against the protestors, demanding that action be taken against them and warning that extremists must not be allowed to trample upon the religious rights of minorities. By promptly condemning bigotry masquerading as religion, they set the tone for much of the heartening response that followed. As well, several prominent personalities together with many ordinary Malaysians took umbrage with the antics of the protestors and wrote or tweeted their disapproval. It showed once again that ordinary Malaysians generally remain far more committed to the founding principles of our nation than many of our political leaders. And then to see the PR-led Selangor state government take the unprecedented step of informing the church that they are free to put the cross back up was so incredibly heartening to all of us who value tolerance and respect for diversity. There can be no more powerful response to extremism and bigotry than for all Malaysians – and particularly Muslims because they are the majority – to stand together in unity to protect the rights and dignity of every citizen. Edmund Burke famously remarked that all that is necessary for the triumph of evil is for good men to do nothing. In Malaysia good men and women resolved not to stay silent in the face of injustice and discrimination and it made all the difference. Our Prime Minister, prone to long bouts of silence on critical issues, missed yet another opportunity to show real leadership, waiting for cabinet consensus before issuing a bland and politically correct statement. It was hardly the kind of unequivocal censure that was surely warranted under the circumstances. There was also no sense of personal outrage or regret that the protestors were largely from his own party. Of course, he threatened to invoke the country’s notorious sedition laws against the protestors but not many believe anything will come of it given his government’s poor track record in standing up to extremism. The silence of the Islamic religious establishment remains troubling as well. They have been quick to issue fatwas on so many trivial matters but remain silent when it comes to fundamental issues about tolerance and respect for religious diversity, both of which they never tire of insisting is what their faith is all about. They should take note of how ordinary Malaysians, including many Muslims, feel about such matters. It’s hard to escape the conclusion that government apathy and the ambivalence of the religious establishment have created the milieu in which much of this extremism thrives. Nothing will change until those in power make clear that intolerance and bigotry have no place in Malaysia and take meaningful measures to build a genuine culture of respect and tolerance across our nation. In the meantime, Christians in Malaysia can take comfort that they do not stand alone against the extremists who elsewhere are persecuting, harassing and even killing members of their faith community. At least in Malaysia, they are blessed to have moderate Muslims courageously modelling what many Islamic leaders only pay lip service to in asserting that Islam is a religion of peace and tolerance.